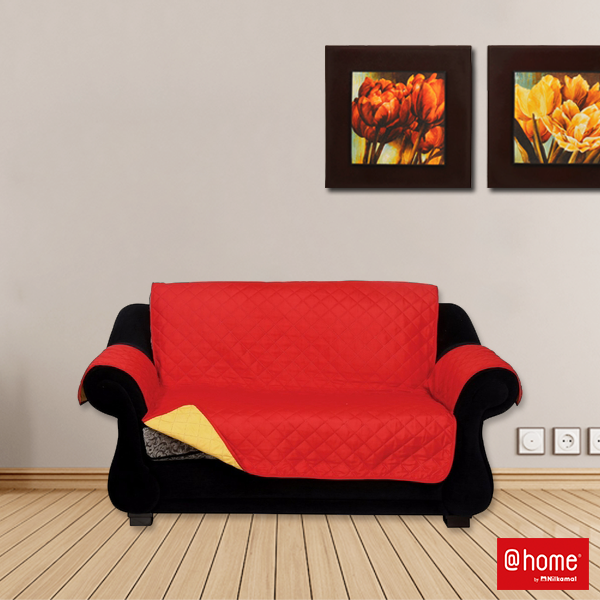 Your Couch is always at the heart of all the hustle & bustle in your living room. And buying this comfortable, beautiful priced asset is never an expense, but an investment you make for a long period of time. Your bond with the couch only grows stronger with time and the thought of letting it go, gives you the jitters. It is with you when you sleep on it, out of sheer laziness of going to the bedroom. It gives you the bounce, when you celebrate and ‘jump’ with joy. It soaks in that juice that you accidentally spilled on it. But eventually, little do we realise that all this, leads to the wear & tear of the sofa, more so the upholstery. Your world, on which you created the best moments with your loved ones, begins to give way. Your sofa loses the sheen, the colour seems to fade & you start to see the stains. But this is one half of the story: the stitches start to rip, the upholstery begins to tear. And all you are left with – is the wait until you are ready to make your significant investment. Your Pad, the Party Pad! : You will always have a new statement to make at all your parties. 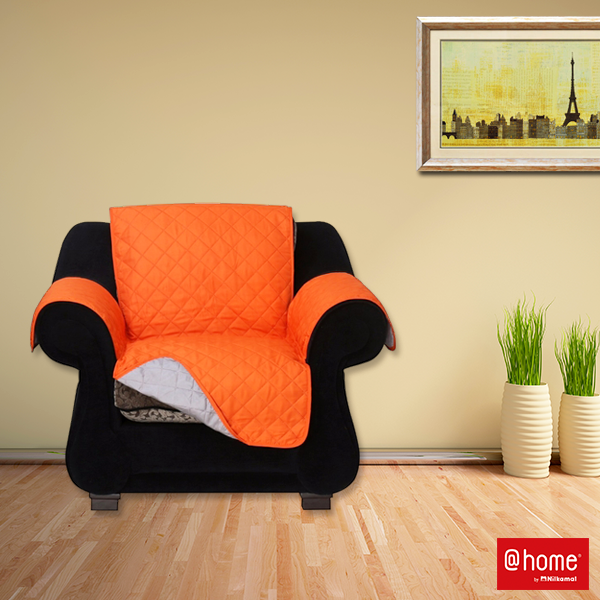 The Sofa cover is reversible giving you the freedom to sport the colour that better suits your weekend party theme. We will not let you compromise on style, be it going with the cover or without! You could even take the cover off and show off your new sofa. (shhh… don’t tell others that it was first the sofa cover). Anyway you choose, your sofa will always look as good as new. 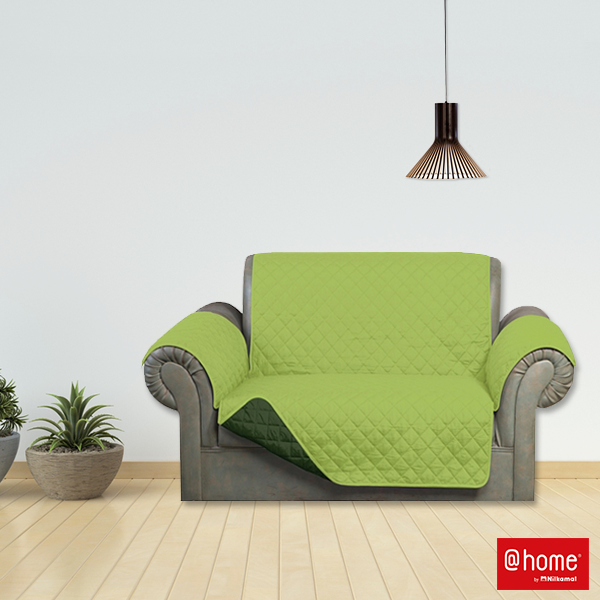 Forever Young: Yes, with a sofa cover on your old sofa set it will look younger. No spills, no stains, no dust setting over will help you to increase the life of the sofa and it will look new forever. Maintenance – Super Easy: Sofa Stains will now be passé. Wash or discard as you want, as unlike the sofa set, sofa covers are reasonable and you can give them a quick wash whenever you please. 2 is always better than 1: Every Sofa Cover you buy is reversible with two colours. Choose the one that suits your taste best. Flip the cover and have an all new look at once! Now, if you are pondering from where will you get such an amazing sofa cover collection, then your search ends at At-Home. Elegant and easy to maintain, the range of sofa covers At-Home offers can be a perfect fit for every home. These sofa covers can protect the sofas against dust, stain, pet fur, and other normal wear and tear. 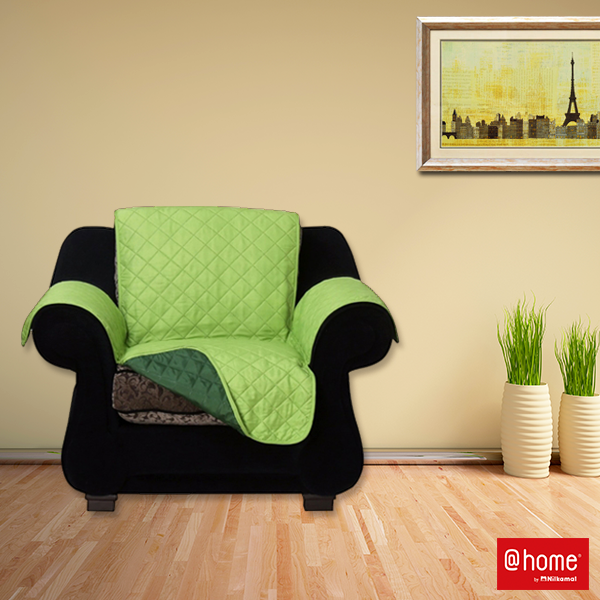 So, enhance the shelf life of your sofas with these covers, made of microfiber quilted design. Moreover, reversible, you can use it both sides. There are also various colour combination options which you can explore and go for the one that best blends with your sofa colour.